27 years experience, with knowledge of Solar and Geo-Thermal systems, combustion safety training, and renewable energy training. 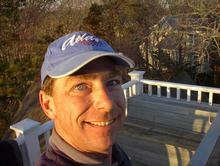 Brown Building Co. is family-owned and operated right here in East Falmouth, MA. Since our company opened in 1985, we’ve treated every customer like they were a part of our family. Other companies may offer similar services, but our services are the best, and come with a personal touch. As a General Contractor, we can build that custom home you always dreamed of from start to finish. Or maybe just a simple renovation or remodel. 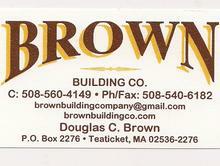 Let us know what " Brown Building" can do for you!